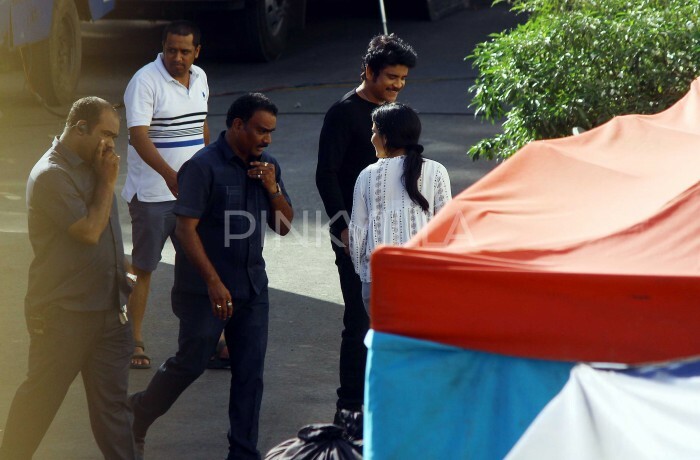 Nagarjuna was snapped on the shooting sets of Officer and the actor looked fitter as ever in his look. 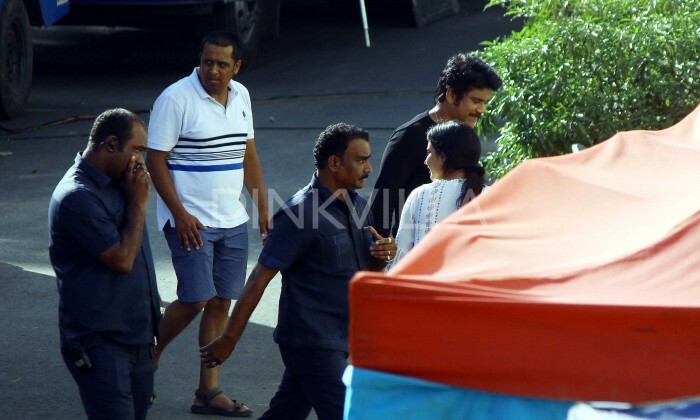 Akkineni Nagarjuna gets ready for a scene on the shooting sets of Officer! Akkineni Nagarjuna will be seen playing a ruthless cop in Officer! Nagarjuna is all smiles and happy during the shoot of Officer! Nagarjuna is in Mumbai currently for the shooting of the film! Nagarjuna has performed few daring stunts all by himself in Officer! The makers had recently released the teaser of Officer which gave us glimpses of what kind of story the film would have. Nagarjuna’s role as the ruthless cop is intriguing while the visuals have a trademark RGV touch to them. Myra Sareen plays a cop too in Officer and the debutante actor left us impressed. Expectations on Officer are quite high because of the successful combination of Akkineni Nagarjuna and Ram Gopal Varma. At the time when the film was being announced, Nagarjuna had said that he was blown away with the story after Ram Gopal Varma narrated to him. “Like he narrated the story of ‘Shiva’ to me, Ram Gopal Varma narrated a brilliant story to me recently. I was taken aback by the story. If everything goes well, we will soon team up for a film,” Nag had said a while ago. Officer is slated to be released on May 24th, 2018, confirmed the teaser which was released today.